There’s a personal story behind every business. Some succeed. Some fail. Many do both. 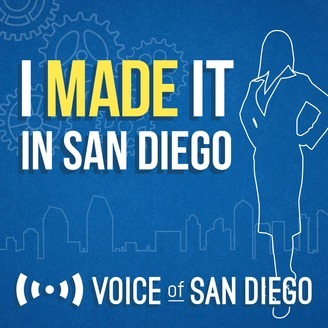 I Made it In San Diego will introduce listeners to the stories behind the city’s small and well-known businesses, and the people who made them what they are today. If you listen to local music, then you’ve heard of Tim Mays. Mays is the cofounder and co-owner of San Diego’s mythic music venue The Casbah. 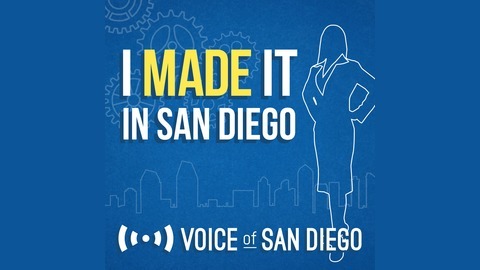 On this episode of "I Made it in San Diego," Voice of San Diego's podcast about local businesses and the people behind them, hear how Mays went from a kid handing out concert fliers to an indie music legend. Mays started booking and producing shows in San Diego in the early 1980s as a way to make sure his favorite bands came through town. By the mid '80s, Mays and some of his friends also wanted to open a bar more geared toward his generation – with their music in the jukebox. Mays' side gig promoting shows and the bar he helped open, The Pink Panther, both found quick success. He quit his day jobs and became a serial entrepreneur with a knack for opening businesses that grew to be local icons. "I never said, 'I don't want to work for the man,' I just was lucky enough to not have to after a certain point." After the birth of The Casbah, Mays continued to open new bars, restaurants and businesses in San Diego – Starlite restaurant, Vinyl Junkies record store and Krakatoa coffee shop among them. He's created opportunities for dozens of local bands and artists, helped turn neighborhoods into thriving communities and still finds time to think about what business he might open next.